ORDER A COPY / READ ONLINE / FIND A UK STOCKIST. 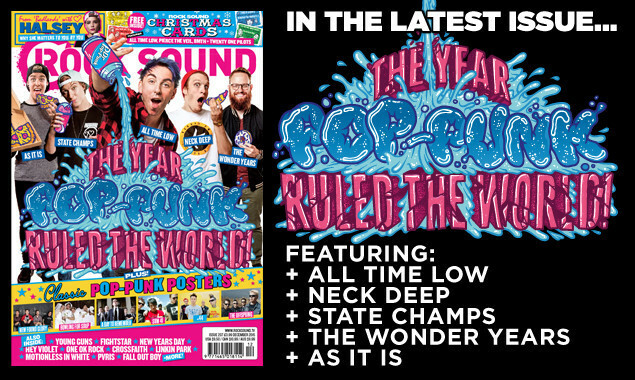 Go inside the year that pop-punk ruled the world this issue, with help from All Time Low, Neck Deep, State Champs, The Wonder Years and As It Is. GRAB A COPY IN UK STORES NOW! - FOUR FREE CHRISTMAS CARDS featuring Twenty One Pilots, Pierce The Veil, All Time Low and Bring Me The Horizon. - Awesome classic pop-punk posters, featuring A Day To Remember, The Offspring, Sum 41, +44 and more! 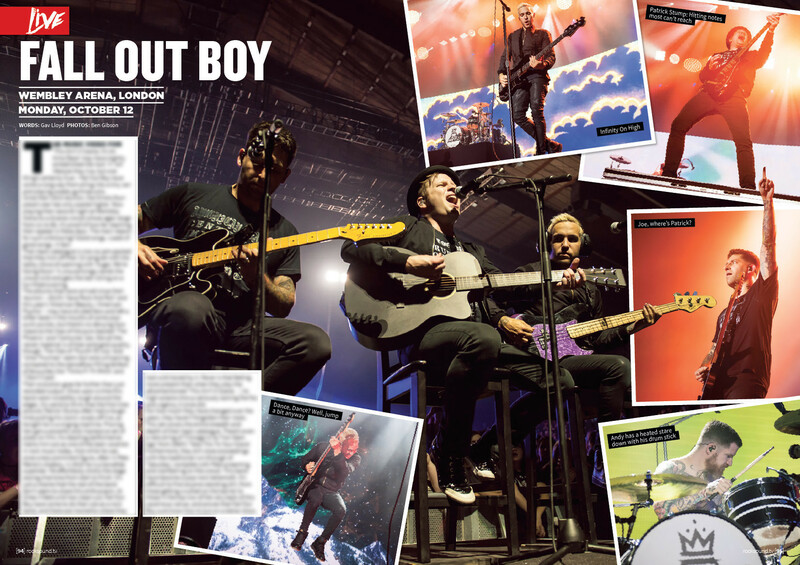 We chat to All Time Low, Neck Deep, State Champs, The Wonder Years and As It Is to find out how and why their scene is producing Number One albums, selling out arenas and in its best shape for a decade. - We take a look through PVRIS vocalist Lynn Gunn's iPod... and find out she loves Bieber! - Fightstar and Charlie Simpson talk their comeback, being heavy and those Busted rumours. - Dive headfirst into the phenomenon that is 'Badlands' and Halsey. - Read what happened when Young Guns faced their fans. - Get the full, ridiculous story behind Alien Ant Farm's most celebrated album. 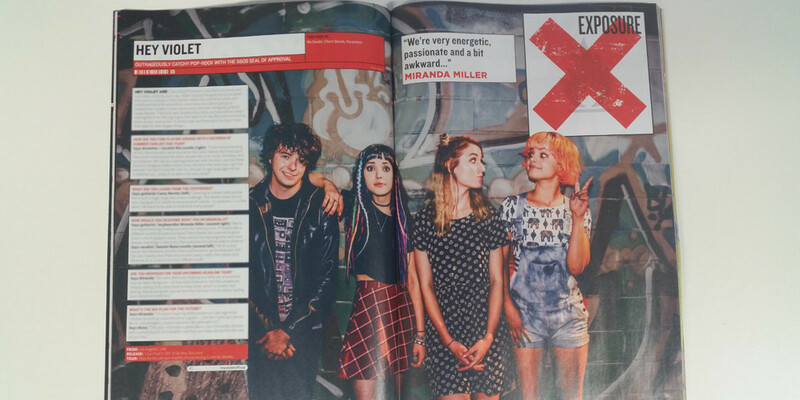 - In Exposure, we say hello to the likes of Hey Violet, One OK Rock, Area 11 and more. - Vans Warped Tour UK. - New albums from One OK Rock, Devil You Know, Handguns and more. 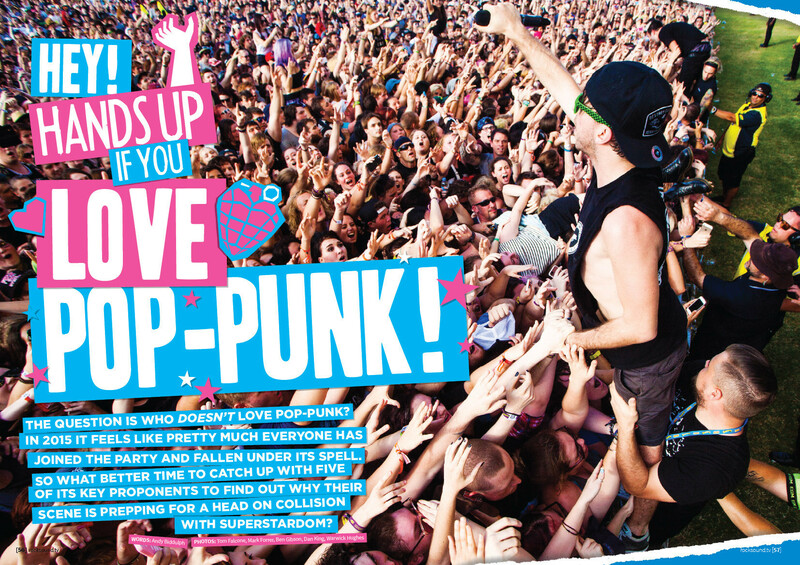 - All Time Low and Sleeping With Sirens' HUGE US tour. - Fall Out Boy's bold return to the UK. So... do you like the sound of that? AND if you subscribe to Rock Sound this month, you can get Four Year Strong's new album free!